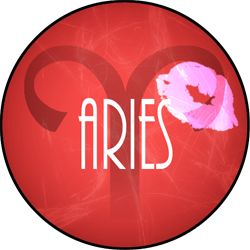 Adventurous Aries, think of this as your love month because Jupiter has just entered your house and as of right now, you can look forward to a year full of passion, even eroticism. Waste no time getting in the mood and taking advantage of this perfect window of opportunity to find a new love, or rekindle the flames of one that’s tepid. This Chantilly Lace Black Lace Teddy from Victoria’s Secret is flirty, sizzling hot and is sure to seduce and delight that special someone and make you feel like a goddess. 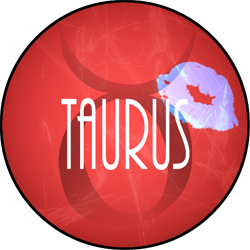 This month Taurus needs to be cautious and do some serious thinking in the love department. Until fall, it’s best to focus on being with people you’re close to but not romantically involved with. Your finances are favorable and the stars show good health for you, so spend fun times with family and friends and create joy in your life. Throw a backyard BBQ or rooftop party and bring in the funk with this HEX SL Wireless Speaker. The compact, cool red Bluetooth enabled speaker let’s you have a party with the sweet sounds of summer music wherever you want. Enjoy 12 hours of battery life and up to 30 feet of range while you stream music from your smartphone, tablet or any Bluetooth-enabled device. Small in design, but big on sound, it has a 2-way design with a tweeter and a bass resonator. That’s music to anyone’s ears! Beautiful Bulls: Bettie Page, April 22; Carol Burnett, April 2; Uma Thurman, April 29; Erin Andrews, May 4; Adele, May 5; Dian Mills, May 10; Madeleine Albright, May 15, others: Michelle Pfieffer, Amber Heard,Jordana Brewster, Jessica Alba. Megan Fox, Christina Hendricks, Kirsten Dunst, Cate Blanchett, Penelope Cruz, Jenna Coleman, Rosario Dawson, Audrey Hepburn, Renee Zellweger, Sofia Coppola. 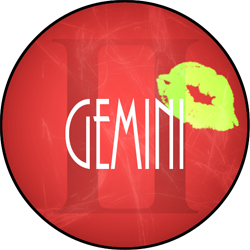 Mercurial Gemini likes to stay connected on many fronts, and this month communication will be absolutely key to success in both your personal and business realms. August will be rife with intense communications at work and at home, so stay connected to friends, loved ones and coworkers when on the go with Clutchette Power, an ingeniously designed, stylish little clutch with an ultra-thin, lightweight built-in power charger for your cell phone. What could be more useful for summer travels and business trips? Carry it alone or toss it in a larger bag – it’s the perfect marriage of practicality, affordability and style. Available in soft rose, gold and silver at www.chicbuds.com. Double Trouble: Pam Grier, May 26; Heidi Klum, June 1: Marilyn Monroe, June 1; Natalie Portman, June 9; Venus Williams, June 17; Zoe Saldana, June 19; Stevie Nicks, June 26; others: Angelina Jolie, Oona Chaplin, Nicole Kidman, Mae Whitman, Julianna Margulies, Juliette Lewis, Teri Polo, Ginnifer Goodwin, Courteney Cox, Elizabeth Hurley, Anne Heche, Kristin Scott Thomas, Kate Upton, Mary-Kate Olsen, Ashley Olsen, Joan Rivers, Brooke Shields, Logan Browning, Leelee Sobieski, Carey Mulligan. 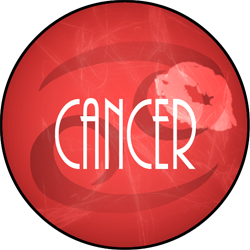 The emotional and loving nature of Cancer will heighten this month as Venus, the planet of love, will enter Cancer and increase your power of seduction and charm. Surround yourself with lilies, the flower most associated with your sign. They’ll certainly help in those endeavors and keep you feeling both cheery and oh-so-affectionate. Spritz on LiLi Eau de Parfum by Joots. This new fragrance was created for the woman who appreciates beauty in everything that surrounds her. Opening notes of white peach and freesia move on to heart notes of the lushest green petals, jasmine, and of course, lily, which remain sparkly and fresh. This isn’t your grandma’s floral. LiLi is light and airy, and fortunately doesn’t grow weak. The award nominated bottle features a frosted glass flacon with a lady rising out of a lily petal. Crab Delights: Meryl Streep, June 22; Frances McDormand, June 23; Deborah Harry, July 1; Princess Diana, July 1; Wendy Williams, July 18; Kristen Bell, July 18; Selena Gomez, July 22, Others: Michelle Rodriguez, Elsa Pataky, Julianne Hough, Juno Temple, Sofia Vergara, Eva Green, Linda Cardellini, Lindsay Lohan, Judy Greer, Diane Kruger, Lizzy Caplan, Ashley Tisdale, Kristen Connolly, Georgie Henley, Sophia Bush, Selma Blair, Mindy Kaling, Hilarie Burton, Jane Lynch, Minka Kelly, Busy Philipps, Jaime Murray. This is your month Leo, so give out a roar. Beat that generous and enthusiastic heart because this is a happy month for you, with your happiest days starting on the 12th. Jupiter is visiting you again, the last visit being in 2002, and this is considered to be a very lucky time for you. Leo, be proud of that mane of hair and make it as gorgeous as possible. If it’s getting a little sparse and losing some oomph, you’ll want to get some Truth Vitality Advanced Complex, Truth Vitality True Volume Shampoo and True Volume Conditioner. Created for thinning hair using copper peptides, emu oil and other active ingredients, these products can create healthy new hair growth by increasing both follicle cell proliferation as well as follicle size. Purr-fect: Anna Paquin, July 24; Helen Mirren, July 26; J.K. Rowling, July 31; Martha Stewart, August 3; Viola Davis, August 11; Jennifer Lawrence, August 15; Loretta Devine, August 21, others: Amy Adams, Anna Kendrick, Ester Williams, Mila Kunis, Rose Byrne, Sandra Bullock, Hayden Panettiere, Kate Beckinsale, Charlize Theron, Adelaide Kane, Gillian Anderson, Jennifer Lopez, Vera Farmiga, Evangeline Lilly, Ashley Johnson, Christine Taylor, Genesis Rodriguez, Brit Marling, Summer Glau, Halle Berry, Mary-Louise Parker, Mara Wilson, Rhona Mitra, Kristen Wiig, Abbie Cornish, Alexis Knapp, Elisabeth Moss, Hilary Swank, Abigail Spencer, Evanna Lynch, Madeline Stowe. You’re a problem solver Virgo, so in this month that highlights group activities for the first half of August, you’ll appreciate Eve Lom’s Daily Protection + SPF 50 to fend off the sun’s UVA and UVB rays for broad, practical protection. Paracress flower and niacinamide will regenerate and tone skin (as well as boost collagen) and vitamins C and E will work their magic. Discerning Virgos will love the fact that there are no artificial ingredients in this lovely brand with integrity. Find this at www.evelom.com and www.neimanmarcus.com. Since the second half of August will be a quieter, more introspective time for you to relax with loved ones Virgo, get out into the sun now and shine with aplomb before you rev up for Fall glamour. Mercury Rising: Blake Lively, August 25; Salma Hayek, September 2; Beyonce, September 4; Chrissie Hynde, September 7; Pink, September 8; Amy Poehler, September 16; Anne Bancroft, September 17; others: Melissa McCarthy, Shannon Guess, Michelle Williams, Mireille Enos, Tatiana Masiany, Carice van Houten, Alexa Vega, Emily Rossum, Alexis Biedel, Cameron Diaz, Maggie Grace, Rachel Bilson, Evan Rachel Wood, Billie Piper, Carla Gugino, Jada Pinkett-Smith, Rose McGowen, Naomi Harris, Katrina Bowden, Jennifer Tilly, Aisha Tyler, Chelsea Kane, Lea Michele. 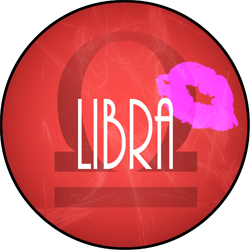 Make up your mind Libra; sometimes you’re diplomatic, romantic and charming, while other times you’re indecisive and changeable. Fortunately you’re generally optimistic and this month at work you might be a true opinion leader and put your custom touch on a big project. Relish it, as there’s a good chance you’ll get even more good projects and make new contacts. It’s about how you handle a situation. The newest item in your skincare beauty cabinet is the Clinique Smart Custom-Repair Serum. Five years in the research lab, and finally on the shelves, this super smart serum goes to work analyzing your skin’s needs and then delivers targeted repair like the world’s best skin care project manager. Whether your issue is uneven skin tone, dullness, lines, wrinkles or dehydration, Clinique’s serum will be your best new ally. Beauties in Balance: Olivia Newton-John, September 26; Serena Williams, September 26; Julie Andrews, October 1; Kate Winslet, October 5; Rachel McAdams, October 7; Sigourney Weaver, October 8; Freida Pinto, October 18; others: Lena Heady, Mia Wasikowska, Mary Gibbs, Catherine Zeta-Jones, Gwyneth Paltrow, Naomi Watts, Marion Cotillard, Elisabeth Shue, Lindsay Taylor, Shannyn Sossamon, Michelle Trachtenberg, Rachael Leigh Cook, Hilary Duff, Susan Sarandon, Lacey Chabert, Anna Camp, Brie Larson, Samantha Barks, Bailee Madison, Emily Deschanel, Camilla Belle, Alicia Silverstone, Felicity Jones, Clea DuVall, Jane Krakowski, Kelly Preston, Joan Cusack, Jodi Lyn O’Keefe, Kim Kardashian, Mira Sorvino. 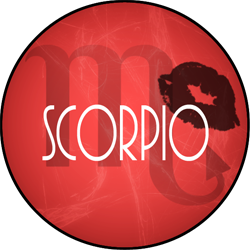 Powerful, passionate, exciting and magnetic Scorpio can be obsessed with perfection. August shows your career to be on the upswing due to Jupiter’s positioning and you could see some nice advancements and/or celebrations of success. Make sure you’re looking your best with La Prairie Skin Caviar Foundation and Concealer SPF 15 that has the famous caviar skin care ingredients that do good things for your skin. This duo has everything your perfectionist self wants, a full coverage foundation and a creamy concealer cleverly concealed in the cap, along with a handy little brush, all elegantly packaged together in one silver toned unit. Stingalicious: Katy Perry, October 25; Emma Stone, November 6; Grace Kelly, November 12; Jodie Foster, November 19; Ming-Na Wen, November 20; Goldie Hawn, November 21; Jamie Lee Curtis, November 22; others: Scarlett Johansson, Natalia Tena, Rachel McAdams, Famke Janssen, Anne Hathaway, Analeigh Tipton, Shailene Woodley, Julia Roberts, Winona Ryder, Scottie Thompson, Brittany Murphy, Olga Kurylenko, Jena Malone, Piper Perabo, Thandie Newton, Yunjin Kim, Maggie Gyllenhaal, Meg Ryan, Marisol Nichols, Demi Moore, Tara Reid, Parker Posey, Megan Mullally, Andrea Rideborough, Lisa Bonet, Sally Field, Ming-Na Wen, Chloe Sevigny, Ellen Pompeo, Willow Smith, Leslie Bibb, Jamie Lee Curtis. 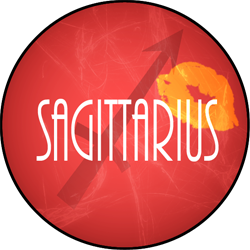 August is all about love and travel for you Sagittarius, and both of them will involve far-flung locations. On the business front, this could entail import-exporting, scientific research, business collaborations with foreigners or expanding your horizons through education. You’ll also appreciate the craftsmanship and entrepreneurial spirit inherent in the natural botanical fragrances for women and men at Esscentual Alchemy. The Vanilla Citron Natural Eau de Parfum is lovely and light for summer, yet lingers enough to be savored. Founder Amanda Feeley composes notes for your nose and her fragrances even include a musical graphic hang tag (and were aptly part of the CMA Awards gift bags). However you look at it, with Jupiter in your house of intellectual expansion for an entire year Sag, you’ll be delving into new realms and broadening your outlook. Might as well smell wonderful while doing it! www.esscentualalchemy.com. Ardent Archers: Christina Applegate, November 25; Tina Turner, November 26; Kathryn Bigelow, November 27; Bette Midler, December 1; Tyra Banks, December 4; Judi Dench, December 9; Taylor Swift, December 13; other: Amanda Seyfried, Kaley Cuoco, Amy Acker, Jenna Dewan-Tatum, Milla Jovovich, Mary Elizabeth Winstead, Alyssa Milano, Jennifer Connelly, Katherine Heigl, Zoe Kravitz, AnnaSophia Robb, Anna Faris, Julianne Moore, Vanessa Hudgens, Paula Patton, Miley Cyrus, Emily Browning, Mayim Bialik, Katie Holmes, Julie Delpy, Hailee Steinfeld, Jennifer Carpenter, Emmanuelle Chriqui, Marisa Tomei, Lucy Liu, Kim Basinger, Sarah Silverman, Emily Mortimer, Jessica Pare. 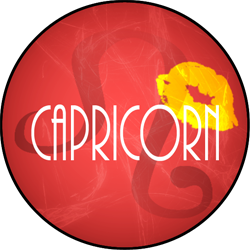 Practical and prudent Capricorn always needs to understand how and why things work. Whether it’s a love relationship, a business venture or a beauty product, she wants perfection and will work nonstop to achieve it. August horoscope shows some extra cash coming from somewhere… a bonus perhaps? Let your practical yet luxury-loving nature embrace this opportunity to buy a set of high quality synthetic hair It Cosmetics Makeup Brushes. Expensive? Yes, but good things always are, and these brushes will last forever – or almost – and will allow you to apply makeup so flawlessly it’ll look like you had it done by a pro. Glam Goats: Helena Christensen, December 25; Tracey Ullman, December 30; Katie Couric, January 7; Pat Benatar, January 10; Kirstie Alley, January 12; Betty White, January 17; Dolly Parton, January 19; others: January Jones, Zooey Deschanel, Nina Dobrev, Maggie Smith, Alison Brie, Amanda Peet, Kate Bosworth, Lucy Punch, Sienna Miller, Diane Keaton, Jennifer Ehle, Katey Sagal, Julia Louis-Dreyfuss, Patricia Clarkson, Julia Ormond, Penelope Ann Miller, Sissy Spacek, Paz Vega, Sarah Polley, Drea de Matteo, Rachael Harris, Beth Behrs, Emily Watson. Water-loving Aquarius, rejoice! Jupiter enters your house mid month and will stay around for a full year, infusing generosity and high energy into your relationships. Additionally there’s great potential for happiness and fulfillment because lovebug Venus also appears later this month. Hmm… if you’re single and in a long-term relationship, perhaps that means someone’s getting ready to put a ring on it? Whether that’s true or not, the beauty lover in you wants to make sure your nails always look gorgeous with the Plie Wand by Julep. This “how-did-I-ever-live-without-it?” applicator makes at-home nail polishing ridiculously easy and will deliver salon results. The ergonomically designed long wand renders it easier to control the brush, and for the mess creating non-dominant hand, the wand twists to a 90-degree angle. This genius swivel is a game changer and appeals to your independent nature as you boast of a professional looking mani you’ve done yourself. The Plie Wand kit also comes with an overcap to fit a variety or polish bottle caps, and a creativity kit that includes a dotting wand and a long thin brush for accuracy in making lines and stripes. 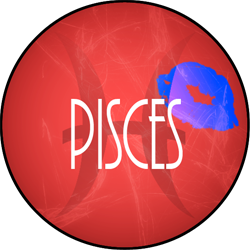 Dreamy, sensitive Pisces will relish Makeup By Mer and in particular the GlaMER Lip Scrubs, which are infused with natural and organic ingredients such as lemon, coconut oil, cinnamon, castor sugar, organic jojoba and more. Venus will be in your house of pleasure and passion this month, so these GlaMER lip scrubs will prime your pucker and keep your lips hydrated in the sun. Work and love may also somehow intermingle in August, so if there’s someone at the office you’ve been mooning after, then go for it! We LOVE the Bubble gum and Lemon version, but you can choose your own delicious favorites at www.makeupbymer.com. Powerful Pisceans: Ellen Page, February 21; Drew Barrymore, February 22; Chelsea Handler, February 25; Rashida Jones, February 25; Elizabeth Taylor, February 27; Patricia Mills, March 1; Carrie Underwood, March 10; Eva Longoria, March 15; others: Sophie Turner, Teresa Palmer, Kate Mara, Jennifer Love Hewitt, Melanie Laurent, Alexandra Daddario, Olivia Wilde, Dakota Fanning, Emily Blunt, Rachel Weisz, Eva Mendes, Brittany Snow, Jessica Biel, Jiah Khan, Lily Collins, Bryce Dallas Howard, Sharon Stone, Julie Bowen, Kelly McDonald, Sasha Grey, Jenna Fischer, Ashley Greene, Ali Larter, Glenn Close, Paget Brewster, Holly Hunter, Rihanna, Natalie Zea, Isabelle Fuhrman, Tamzin Merchant, Tea Leoni.